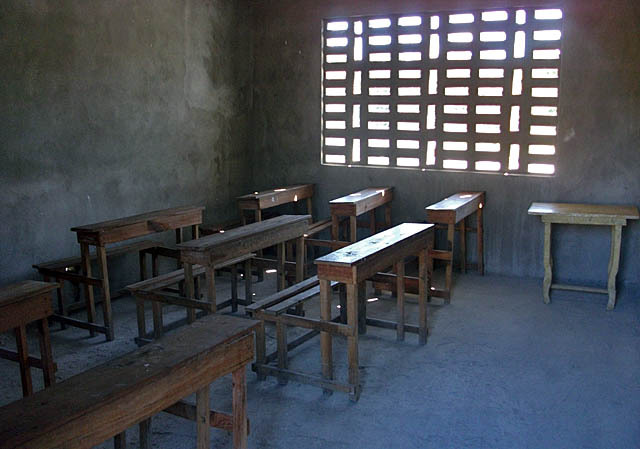 Beth McCall, from Orange County, CA sees what a school in Haiti looks like..
A story of a Pastor, two hundred Children, a Community and Pride. committed by a wonderfully generous anonymous benefactor. THANK YOU!!! To one person - this is a concrete block. There are times in this life when we are given the opportunity to change the destiny of a child, a family, many families - or even, in rarer cases - an entire village. This is an account of one of those rare opportunities. 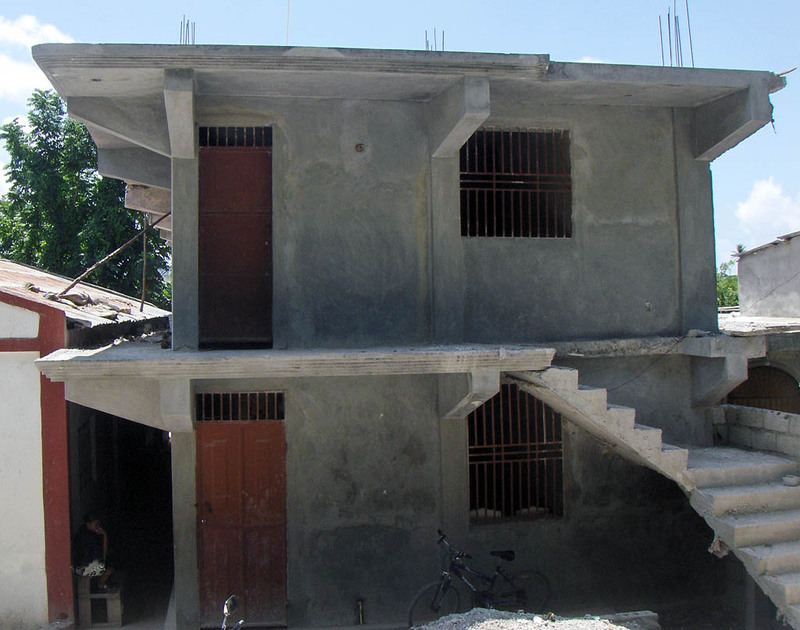 Several months ago, while visiting Haiti to discuss another project that Project Rennwish has recently undertaken (to be announced), I had the chance to meet with a local Pastor from a small village. Pastor Vilnor is a young man, proud of his accomplishments - who has done more with "nothing" than one could ever imagine and comprehend - especially those of us fortunate enough to live outside Haiti - and that village. Pastor Vilnor asks for nothing, he has little insofar as material possessions and yet, he is the center of that villages world. 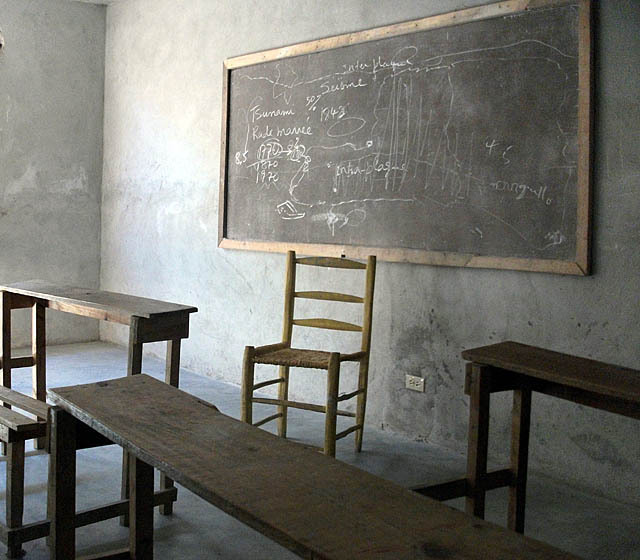 In fact - he tries to run and operate a "school" in that village. 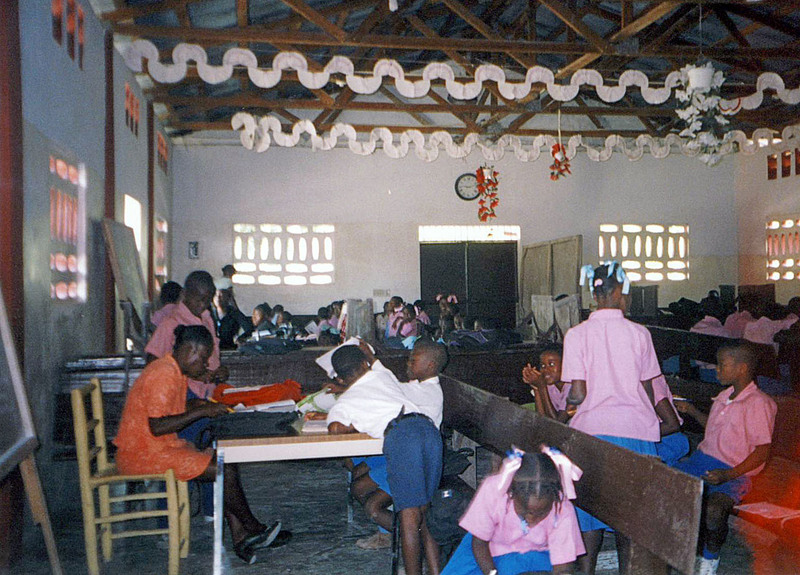 He has just over two hundred students with local "teachers" - and their "school house" is his church - one very large room with a tin roof - where the pews are pressed into service as "desks" and teachers of all six grades compete to be heard over the din of other grades being taught a few inches away. Inside, on a warm Caribbean day with the sun beating down on the tin roof - you can well imagine the overwhelming heat and stagnant air permeating that one large room. 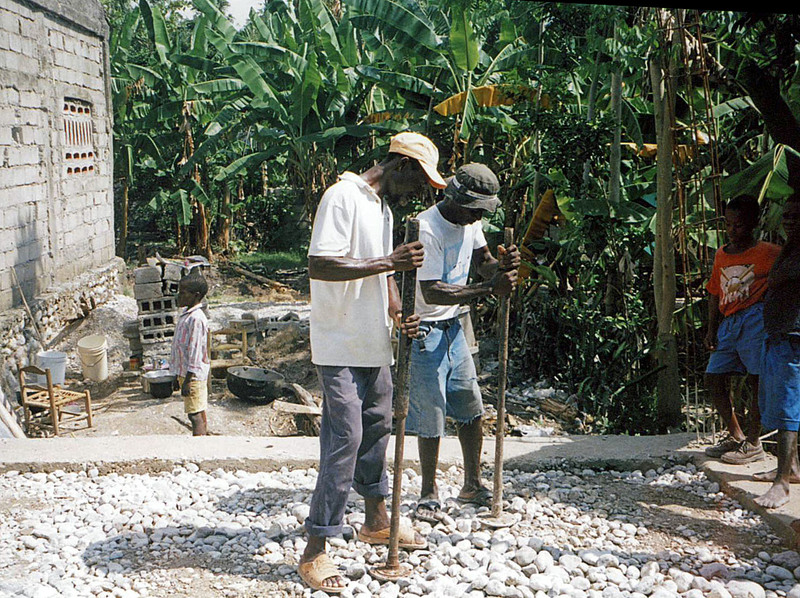 As a backdrop to this everyday scene, today - the village and villagers themselves exist in a world that few can imagine, stricken with poverty, unemployment and a daily "income" of perhaps a few Haitian Gourde (1 Gourde = about 2.5 US pennies) - there has been little hope in that community to revitalize their youth in regards to education, morals and a sliver of hope for a brighter future. In short, the everyday challenge of each and every member of that village has been to simply survive at the most basic level - including perhaps eating one meal a day, or working their small crops - or maybe - sending their child to a school locally - so that they may have an opportunity - perhaps someday - at a better life. Someday…. And - today is that "Someday"
Our "success" is not measured by what we "operate" or "own" (we do neither)- but rather, how our investments have changed a single child, a group of children, a family - or again - in this case - an entire village in both the short and long term. It is our sincere hope that our "projects" outlast and persevere far beyond our mortal lives. We demand integrity, moral ethics and irreproachable principles from our partners with whom we undertake partnership programs. Then we have succeeded in some small way. Quietly - over the past two months, Project Rennwish, a small handful of private individuals (listed below), Jen and myself issued a "challenge" to a local Pastor, a group of children - and an entire village in completing Phase One (of three Phases). And the response has been overwhelming. 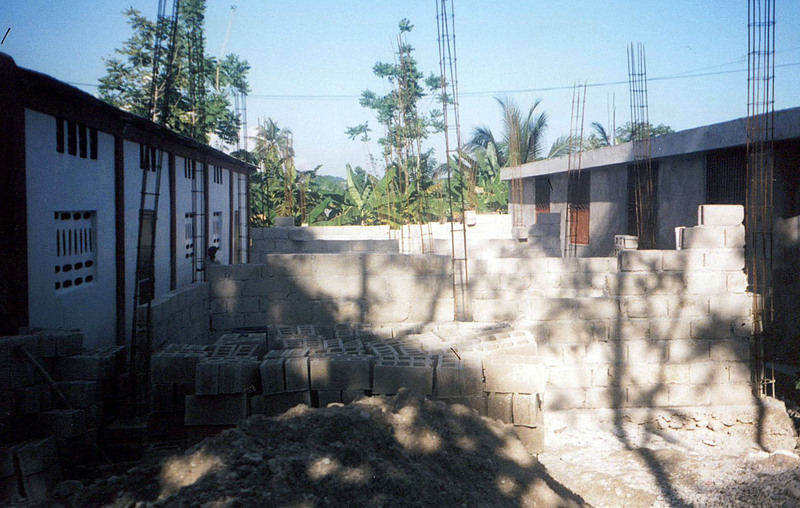 In fact - the local villagers built this school, we did not. We simply supplied the "glue" to bond the community together in this goal. They are the ones who succeeded and surpassed that goal. If you look at the pictures below - you will see children, village elders, groups of women and children "building their school". 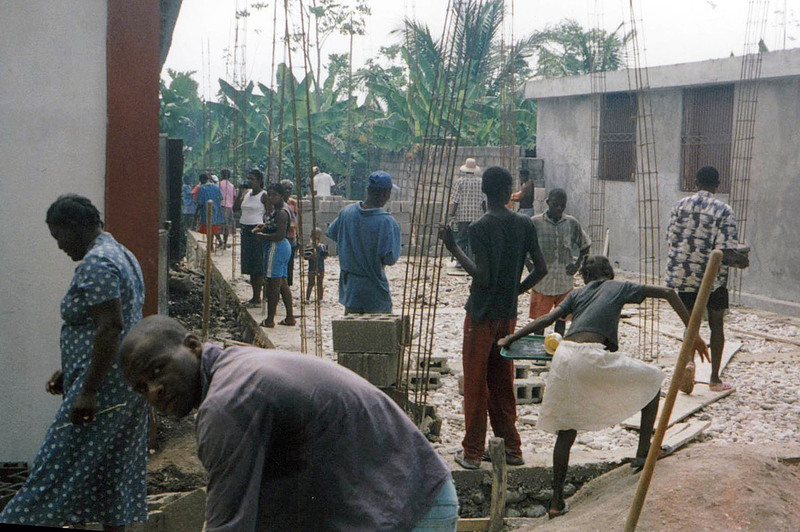 They gave freely of all they had - time, labor, pressing fruit juice and baking bread for their neighbors as they toiled to "build their dream". 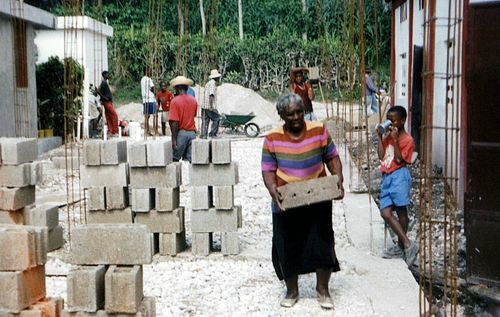 You can also witness older women and men alike digging the foundation, carrying 70 pound concrete blocks and mixing/pouring concrete by hand - again, simply to reach a common goal. 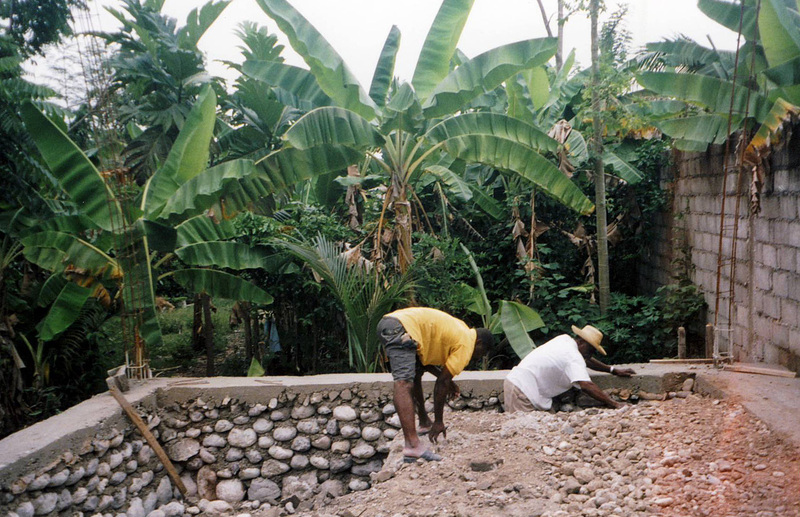 Just to "build their school" for the children and Pastor Vilnor. Phase One has been fully funded privately and is scheduled for completion in June of 2008. 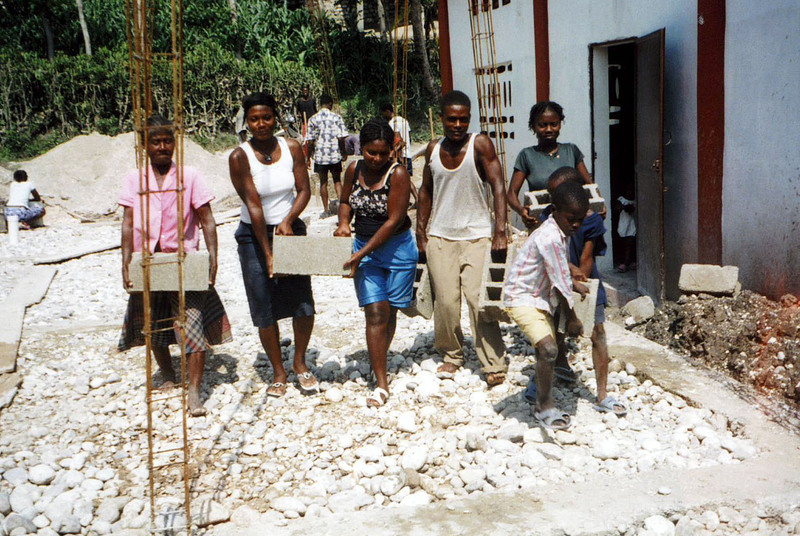 It will be dedicated on July 9, 2008 in a remote village outside of Les Cayes Haiti. 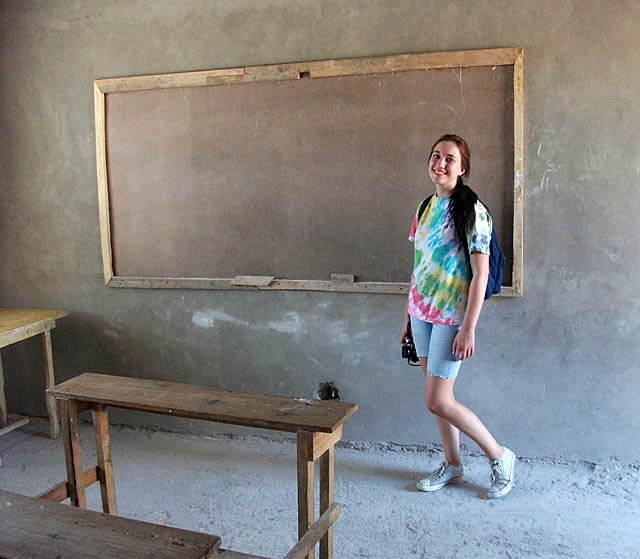 The school built during Phase One will be dedicated to the memory of Natalie Louise Streather. 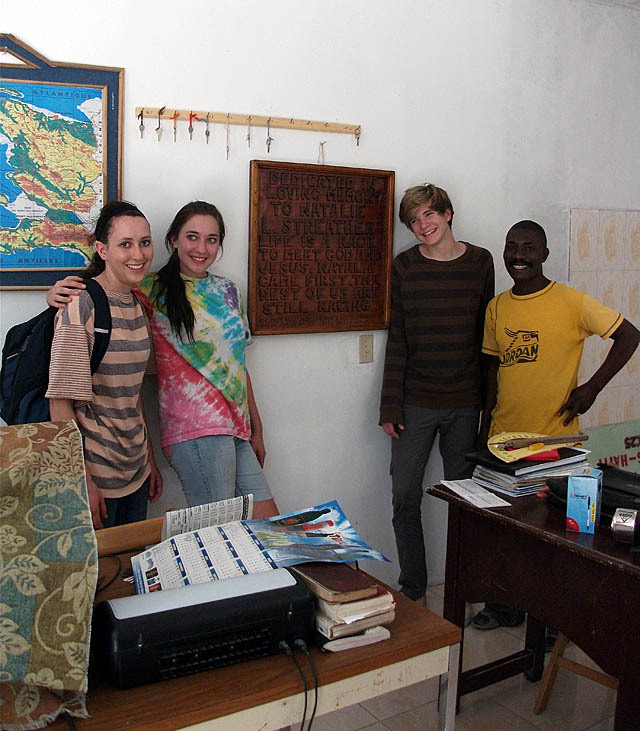 The dedication ceremony will be headed by Pastor Vilnor and will include his students, teachers and villagers. 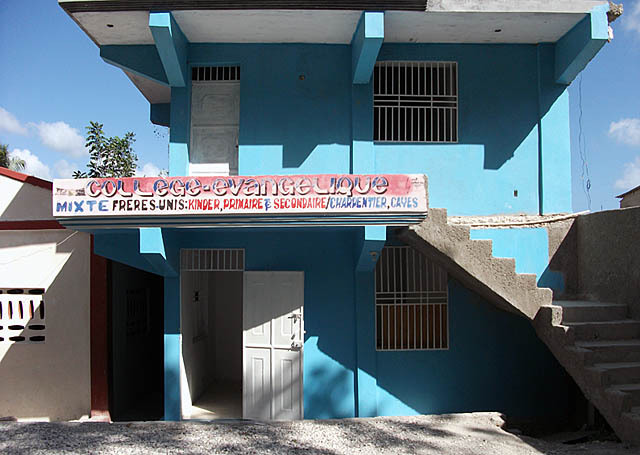 It will also be will attended by dozens of other local Pastors and leaders from throughout Haiti. A lot size that can be expanded to include Phase Three. 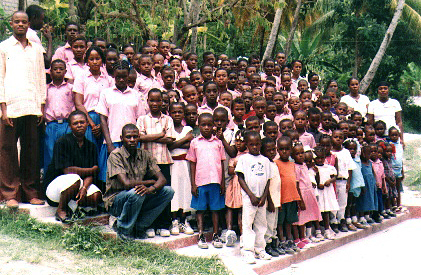 The current "school". One room. 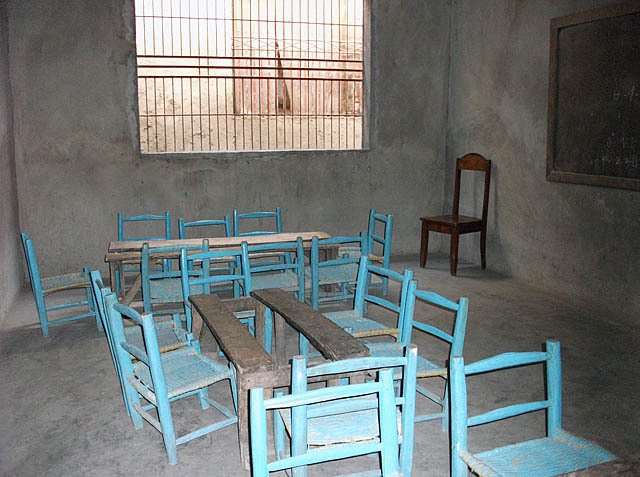 More than 200 children in six grades try to "learn" under a single tin roof. Breaking Ground for the school. 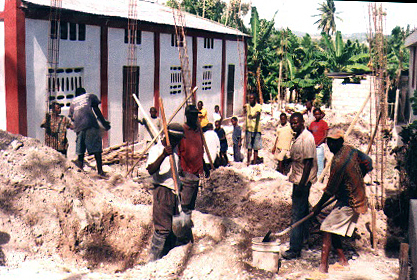 Over thirty villagers continue to donate their time , labor and what precious little food they have to assist in the construction. 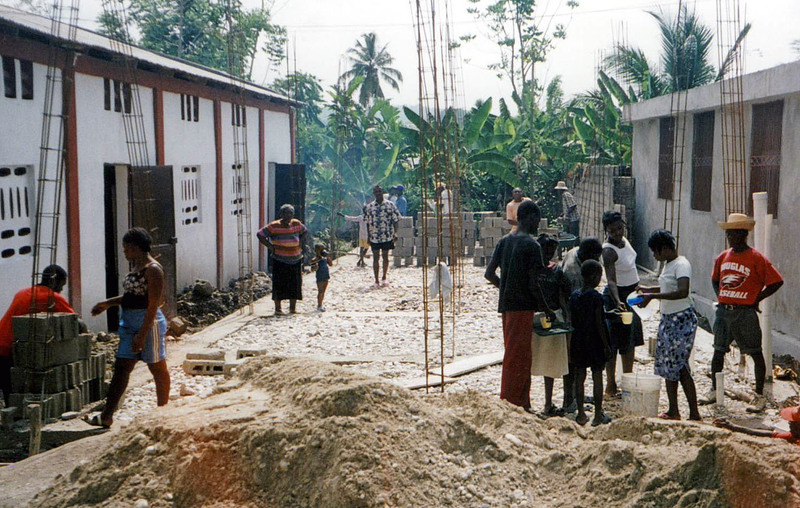 This is a "village" project. An elder villager and her two young daughters pass out fresh bread and fruit juice they have just made to the workers. When one person wants to make a difference - they do. This woman's contribution is to be certain the workers have fresh juice. 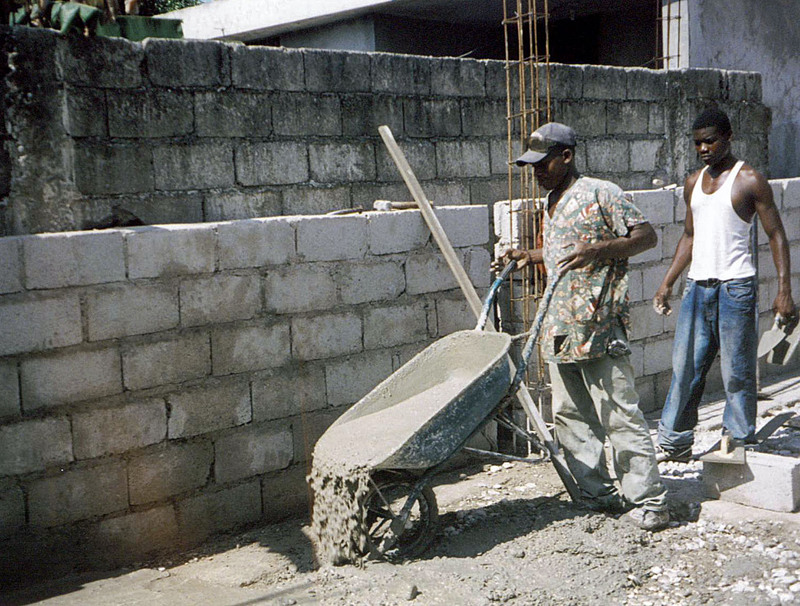 Filling the foundation walls - by hand, bucket by bucket, wheelbarrow load by load. 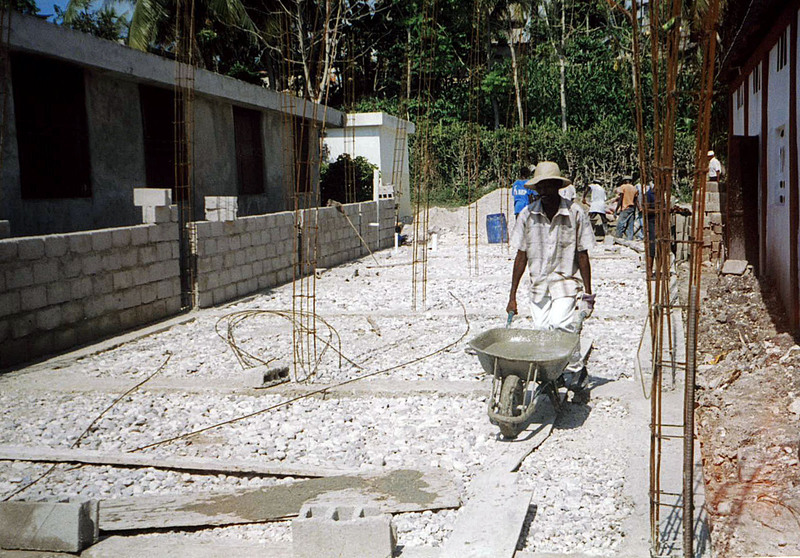 Compacting the foundation for the final concrete floor. And the walls rise up from nothing. And the community builds it for themselves and the children. "Pride in doing something that they thought was impossible"
The second story to the school is finished!! I guess I'm just going to write this post/thread as a "train of jumbled thoughts", since - every time I return from a trip like this, I find the words difficult to come by? So - maybe it's better, rather than attempting to do all in one post/thread, I'll try to do one "event" at a time? For that - I know Patrick can imagine. 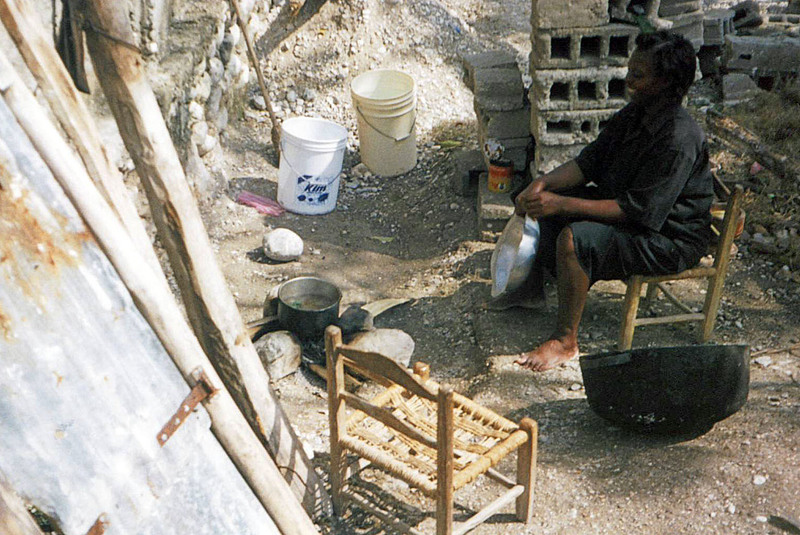 He was there, in Haiti along with my Mom (Joan Dunkle) - seeing first hand all you have done. I am in his debt and he has my respect. 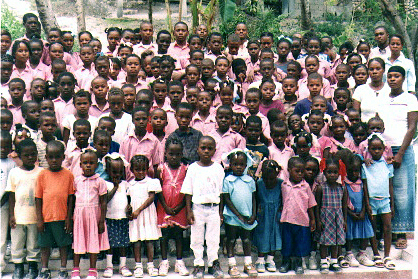 Few - if any - would dare to go to Haiti. Patrick did. And for that, I think he saw a part of this world many can't imagine exists nor believe might exist as we go to our safe houses in our nice neighborhoods, and children - by the dozens - don't call out to you asking for food, or money, or note the color of your skin. About two months ago - there was nothing. Pastor Vilnor, Pat and I (and a few others? ;) ) read the plaque for the first time..